Current Top 10 Children's Books | Breezy Mama Breezy Mama - Expert parenting advice, celebrity interviews, product reviews for kids, moms and babies and more! Get your bookmarks ready! 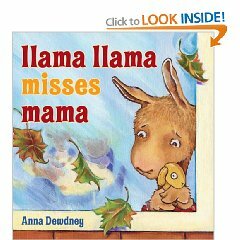 To literally help invigorate your morning nap/afternoon nap/nighttime reading (and per Breezy Mama Kelly’s request), I cross referenced the top 10 children’s books from NY Times Best Sellers List, Amazon’s top sellers, Borders’ top sellers and Chronicle Books to create the Breezy Mama Current Top 10. Sure, there are several classics missing from this list, but again, this is the current toppers. Don’t let your kid get caught clueless in the sandbox – update their bookshelf stat! by David Soman and Jacky Davis. Illustrated by David Soman. For Amazon’s price of $11.55 (vs. $16.99) click here. by Neil Gaiman. Illustrated by Charles Vess. A book of wishes, addressed to a daughter. In a magical blessing for unconventional girls, Gaiman (The Graveyard Book) addresses the ladies of light and ladies of darkness and ladies of never-you-mind, asking them to shelter and guide an infant girl as she grows. For Amazon’s price of $12.23 (vs. $17.99) click here. written by Matthew Van Fleet and photographed by Brian Stanton. In Matthew Van Fleet’s irresisibly pettable, brillantly innovative and fun multi-concept book, watch twenty-three breeds of frolicking felines pounce, prance and parade through concepts, pull-tabs, textures and interactive surprises. And you’ll never believe what cat dragged in! Pleasingly purr-fect fun from start to finish! Meow…meow…meow…WOW! 6. Fancy Nancy: Explorer Extraordinaire! For the fanciest girl around, the outdoors are out of this world! 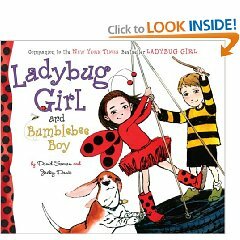 Fancy Nancy and her best friend, Bree, set out to explore the fascinating world of wildflowers, trees, leaves, birds, and, of course, butterflies in their exclusively glamorous Explorers’ Club. With recipes for pinecone bird feeders and extra-fancy lemonade, an official club bird, and an exclusive map of the territory, Fancy Nancy is one Explorer Extraordinaire! Take a look at Nancy’s very own enlightening discoveries and find out just how fancy the outdoors can be! For Amazon’s price of $10.18 (vs. $12.99) click here. The tiny town of Chewandswallow was very much like any other tiny town except for its weather which came three times a day, at breakfast, lunch and dinner. But it never rained rain and it never snowed snow and it never blew just wind. It rained things like soup and juice. It snowed things like mashed potatoes. And sometimes the wind blew in storms of hamburgers. Life for the townspeople was delicious until the weather took a turn for the worse. The food got larger and larger and so did the portions. Chewandswallow was plagues by damaging floods and storms of huge food. The town was a mess and the pople feared for their lives. Something had to be done, and in a hurry. For Amazon’s price of $6.99 click here. More than 12 million copies of this book have been sold in its original, full-sized edition, and the beloved tale of science and gluttony has been translated into 20 languages. This five-by-four-inch miniature edition is truly tiny, with tiny type, but it is a nice size for small hands to hold and flip through the pictures. Despite its diminished state, the book is complete in every detail, following the ravenous caterpillar’s path as he eats his way through one apple (and the pages of the book itself) on Monday, two pears on Tuesday, three plums on Wednesday, and so on, through cherry pie and sausage–until he is really fat and has a stomachache. And no doubt you know what happens next! For Amazon’s price of $8.46 (vs. $10.99) click here. The exuberant illustrations in this guessing-game board book will enchant infants and toddlers. A bright left-hand page with the words “Peek a” faces a right-hand page with die-cut windows through which a visual clue can be seen. Turn the page and “Peek a MOO!” reveals a black-and-white cow; “Peek a BOO!” a green ghost; “Peek a ZOO!” a crowd of animals including an elephant, giraffe, zebra, etc. ; and the final puzzle, “Peek a YOU,” has a mirror insert. Vibrant colors with plenty of black outlines make this a charming visual treat for the youngest patrons. For Amazon’s price of $6.95 click here. A short poem of goodnight wishes from a young rabbit preparing for–or attempting to postpone–his own slumber. He says goodnight to every object in sight and within earshot, including the “quiet old lady whispering hush.” Clement Hurd’s illustrations are simple and effective, alternating between small ink drawings and wide, brightly colored views of the little rabbit’s room. For Amazon’s price of $8.99 click here. One of those truly rare books that can be enjoyed equally by a child and a grown-up. If you disagree, then it’s been too long since you’ve attended a wild rumpus. Max dons his wolf suit in pursuit of some mischief and gets sent to bed without supper. Fortuitously, a forest grows in his room, allowing his wild rampage to continue unimpaired. Sendak’s color illustrations (perhaps his finest) are beautiful, and each turn of the page brings the discovery of a new wonder. For Amazon’s price of $10.77 (vs. $17.95) click here. Breezy Tip: Want to also take me literally on updating your bookshelf? Check out the adorable selection from The Land of Nod. 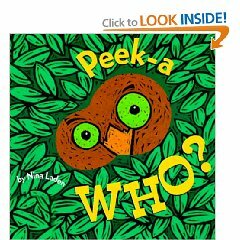 My daughter was just given Peek-a-Who? as a gift and it’s adorable. My 3 year old loves it just as much as she does! Thanks, Chelsea for listening to my request! Now I have my new list of books to get for my kids and give as birthday presents to our friends’ kids!!! Yesterday when picking up my son from school he asked me if I wanted to read the Mommy monster book. I would have normally tried to hurry him out, but when he showed me the book and I saw the title I cracked up, “When Mom Turned in to a Monster” was the name of the book. We read it and it was freaking hilarious, because I saw so much of myself and the drawings of the Mommy monster I only hoped was how my boys did not see me when I fly off the handle for the tenth time of the day because all the sofa cushions are on the ground and toys everywhere! I think this one should definatley make the Top 10 and would be a fun gift too for a Mommy friend. Thanks for the Top 10 list! My little 3 year old LOVES to read books! Our trips to Borders books was getting costly, so we have now become regulars at the library. She LOVES it! I will take this list with me to check them out! Alice Wills here. Why does it not surprise me that you and I are similar in our love for the blogging world AND Where The Wild Things Are. I am so excited to have found you on facebook.